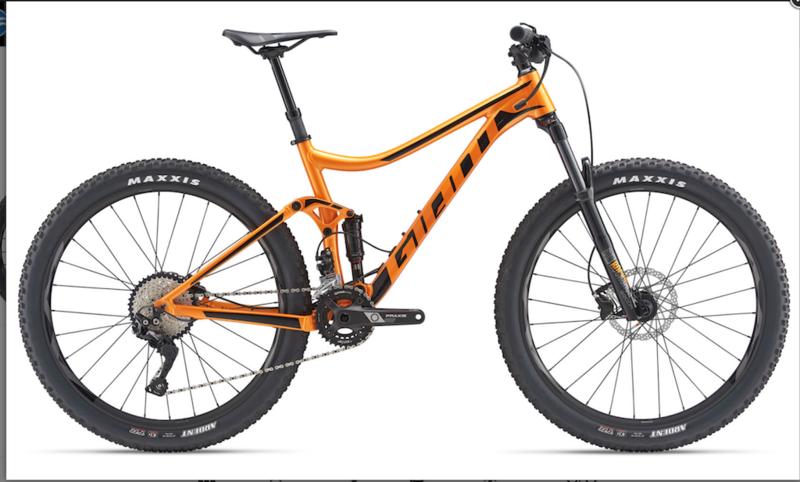 New to MTB riding and I just ordered a new bike from my LBS, 2019 Giant Stance 1. Super stoked and looking for a change from road cycling. Anything to be aware of? Curious about pedals to start. Should I clip in or wait until I get a feel for the bike? Live in the bay area CA looking forward to hitting the trails. For flats I like pedaling Pedaling innovation large platform pedal. Last edited by Gconan; 04-13-19 at 05:54 PM. That looks good! I like the duel plates in front. As a big user of clip in SPD pedals on all my bikes, you might be surprised that I would say to learn and develop your skills on flats and then determine if SPDs are the way you want to go. I think you will be a better rider doing this, like being able to bunny hop properly. Congrats on the new bike! I bought my wife the Liv women's version of this bike last year as her first FS mountain bike and she loves it. It's been a great bike and required little maintenance. I have ridden clipless pedals for years but recently switched to flats on my mountain bike and love it. I would recommend flats to learn on but get ready to get some scratches on your calves. awesome! Which flats did you go with? looks like flats it is. Which ones would you go with? There are lots of good ones. Thinner ones help reduce pedal strikes. Adjustable, or at least replaceable pins to keep your grip solid. Wide enough for your foot width, so if you have wide feet you may like a wider pedal for a good platform but wider than you need also can result in more pedal strikes. Im looking at Crank Brothers Stamp 1's. Affordable, durable, replaceable pins, light composite, and good reviews. I have found the raceface components to be durable. These pedals are only about $50. For pedals I actually prefer Shamino Saints, but being all metal pedal strikes are much more harsh on my knees, so on my more serious bike I run RaceFace Chesters. damn these are nice too. I hope my LBS has these and the others mentioned here. Decisions decisions.